Murree is a beautiful hill station with a romance in the air. It is overcrowded tourist resort with beautiful view and natural beauty. It possesses cool and charming weather throughout the year. It is cool in summer and in winter murree is covered with thick blanket of snow. This blanket of snow shows a stunning beauty and attracts a large number of visitors every year. Murree is an ideal place to have vacations with fiends and family. Its main attraction is its natural beauty and refreshing atmosphere. Snow fall during winter season is the most stunning scene in murree. Everything at murree is covered with snow and tourists mostly visit murree at this time. You can also enjoy by going on a trip to Kashmir point, Pindi Point, The Mall, and Lawrence College & Church. Murree also has many spots for hiking and picnics. The Mall in murree has many shops, hotels and restaurants. These shops possess many handicrafts, traditional clothes, head wear, jewelry and leather goods. Besides these traditional items shops for every kind of multinational brands in cosmetics, clothing, shoes, grocery, and watches are available. Murree has many restaurants, coffee shops and ice cream parlors. Some of famous names are KFC, Pizza Hut, Indulge coffee shop, Red Onion and Saffron. 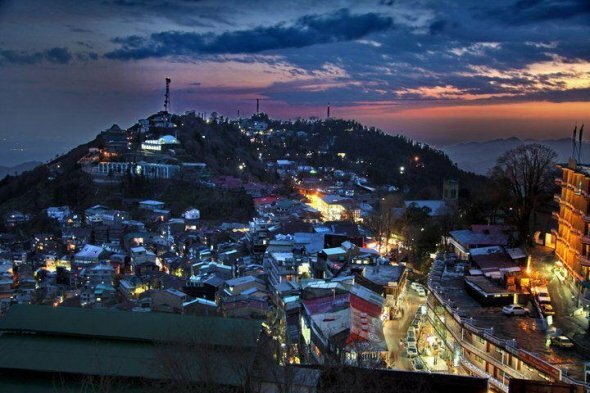 Murree is full of breathtaking natural beauty and attracts local as well as foreign visitors. Murree hotels are equipped with all facilities to accommodate large number of visitors. Hotels in Muree range from luxury to cheap to suit the pocket of all visitors. So have a memorable trip of murree and waste no time to book cheap hotels in Murree. Some Hotels in Murree are Shangrila Hotel Murree and Hotel Jawa International Murree. Bhurban is another place of interest for visitors situated in between murree. It is a small hill station with full of flora and fauna. The Golf Course at Bhurban is awesome because of its altitude and tough layout. Bhurban has a wide range of tourist’s attractions and facilities. It is known for its hiking trials. Many resorts with all facilities are present in Bhurban to serve tourists. PC Hotel Bhurban Murree is the five star hotel equipped with all modern facilities. Murree and Bhurban are the most refreshing and beautiful hill stations. Their breathtaking natural beauty and romantic atmosphere fascinate tourists from all over the world. So you should waste no time and pay a visit to stunning hill stations as it will be a memorable tour for you.